After the success of last year’s Craft Fairs the Willow Gallery, Oswestry, is pleased to launch its new 2014 program of fairs, celebrating local creativity, skill and imagination. We are looking for Artists, Designers, Crafters & Makers to showcase a wide range of handcrafted, locally made products across 20 stalls throughout the day. Early booking is advisable due to limited spaces. 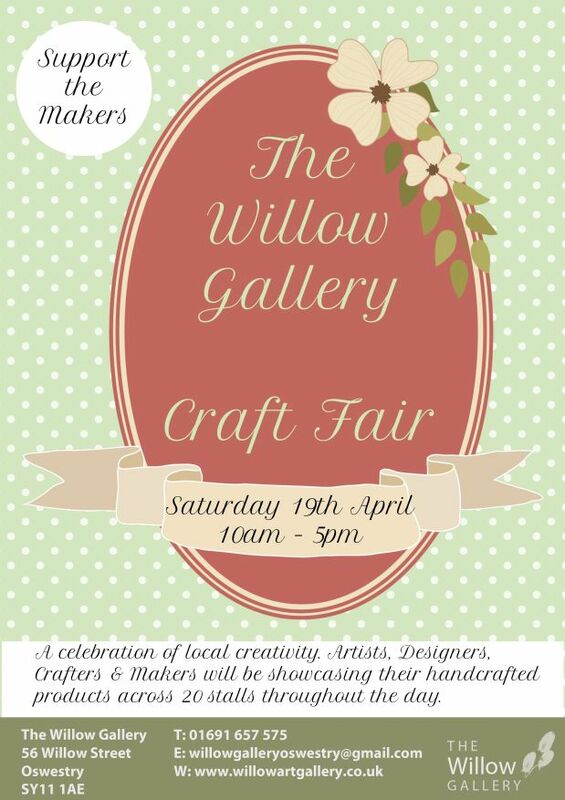 Please contact the Willow Gallery for further information and bookings. please could you tell me how much it is for a stall at your craft fairs and have you any spaces for October or November we sell clothe bags and fancy goods wooden wine racks and household and fancy goods made of slate , thank you . « THE ART OF ILLUSION!!!!!! !